Regardless if you’re a caregiver or not, your parents are just that – your parents. There are boundaries there when it comes down to things you should and should not say. Some adult children struggle with this. 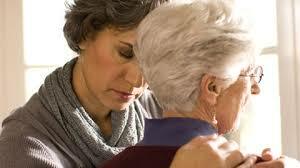 There are some who are more emotional than others and take their aging parents words or actions personally. Many elderly people suffer with some form of dementia, be it mild or more severe—and this interferes with mood and personality. However, if you have a parent who was always rather harsh and outright obnoxious at times, this type of personality is magnified in old age. Many caregivers struggle with this very circumstance. The best advice is to try and steer away from those things that create bad behavior and miscommunication. Let’s list those 5 things you should try to avoid saying to your elderly parents now! It’s hard, no doubt about it. Remember, words can be barbs, and if you become too emotional you can say something you wish you wouldn’t have. Though aging parents can really push an adult child’s buttons—the best thing to do is to let things slide. The goal is to improve their quality of life; not create drama you can’t squelch. Remember, even if you hold your tongue you might still feel some exasperation, but maintain your composure! You don’t want to hurt feelings and cause harm that can’t be erased. So, let’s examine what you should and shouldn’t say right now. Why Can’t You Remember That? Aging parents naturally become forgetful, and being mean or hasty with them just isn’t right. It might be difficult to have to repeat the same question 5 times in an hour, but just bite your tongue and work with your elderly loved one. Try doing something like post it notes so that they will remember what it was you asked, or need them to do. This will minimize the risk of saying something out of the way. Why Do You Have to Be So Hateful? For most elderly people, pain, mental decline, worry and fear can have a negative impact. They might say somewhat short things, or their actions might come across as mean, but the reality is that they are just scared and hurting. Caregivers often feel forgotten about or uncared for when their loved one behaves so mean. Try to overlook it and keep things positive. It can be difficult to do, but if you’re going to keep your sanity you simply have to hold your tongue. Why Aren’t You Listening? You can get frustrated when trying to talk to your elderly parent, especially if they have a hearing problem. However, getting upset and allowing your emotions to get the best of you can be very hurtful. Don’t ask your parent why they’re not listening. Instead be constructive and let them know you were talking about something important and want to make sure they’re following you. It’s Your Fault This is Happening! Try not to blame your elderly parent for outlandish attitudes or behaviors. We’ve discussed this before. Often older people aren’t aware they are being obnoxious or sarcastic. You should try and calm the situation by staying positive yourself. Why is the House so Messy? Senility does many things to an individual, and bringing attention to a mess, or clutter is wrong. Tell your elderly parent everything is fine and you understand they’ve been doing the best they could. This will ensure you don’t start an argument, or leave resentful feelings either. No matter what, the goal of being a caregiver for a parent is to ensure they feel safe and comfortable with someone they know. Sometimes, the caregiver has to just disregard words and actions of a parent. In the end, you’ll be glad you stayed positive during difficult situations. This is one of the hardest, most draining positions in the world; so do make sure you make time for yourself! I can relate to all of these five points that you discussed. Dealing with an aging parent can be extremely stressful but one must be forgiving, caring and always keep in mind safety for them. I agree Valerie, 100% At the same time, every elderly person is an individual and sometimes past personality traits become worse in old age. It can be very difficult for the caregiver to “shake off” harsh words from an elderly parent they are trying to care for. And vice versa. Some adult children are not capable of caring for their loved one in a empathetic manner. It is especially challenging to maintain boundaries when the caregiver has medical knowledge greater than that of the parent. Our perception of quality-of-life often widely differs from our parents perception. It was a standing joke with my dad I would say to him dad you spent a lot of money on my education I’m mystified as to why you don’t want to use it. Theirs is based on familiarity and routine and preserving privacy. While a dinner menu of chips and salsa may seem reasonable to them it fills us with dismay. The universal debate is how much autonomy they keep, vs how much we intercede to make things better. Most of us struggle with this when we witness our parent’s gradual decline. My 88 year old father was active and fit. Out golfing several times a week. One day he called me and announced he was going to have elective surgery to restore circulation in his foot. I cautioned him that all surgeries, at any age, had a risk of blood clot resulting a heart attack or stroke . He told me that the pain from the poor circulation was motivation enough. He said he had lived a long healthy active life and it was worth the risk to remove the pain. At the end of the day it was his choice to make. He had his surgery, the foot was nice and pink and pain free, things were looking good. One week later the visiting nurse changed the dressing, dislodging a clot, that produced a stroke. My Dad died two weeks later. How I wish I could have been wrong just this time but I respect it was his right to choose. That is such a sad story Sandra 🙁 It reminds me of my mother who just recently passed away and left our family broken and (I’d say dysfunctional). She had a 100% bowel obstruction, and suffered with these in her later years due to Celiac disease. But she had several other issues, one poor circulation. She opted to have a G-tube procedure to remove her nasal gastric tube. She was given a 3 month life expectancy and I was going to be her caregiver. The surgery was non-invasive and she seemed to be doing well. However, in the wee hours of the morning, a day later, I raced to her side as she passed away. I believe she threw a blood clot that went to her lung. As you can see, I still haven’t recovered from this. It’s never easy to lose the ones we love so much….If I could have made her listen. Being a caregiver is hard altogether. It is mentally and physically challenging. It is even harder when you are the caregiver for a family member. I love the five points brought out in your article. I think it should also be mentioned that watching your tone is important. Speaking to them as if they are a child is degrading. Also, do not use words like honey or sweety. This is a major sign of disrespect. Thanks for the awesome read. “Why” questions indicate that caregivers lack a clear understanding about functions of which a seniors’ illnesses may have robbed them. Geriatrics-focused examination can reveal physical illnesses and depression. If there is memory impairment, neuropsychological testing will reveal what the senior’s brain can and cannot do cognitively. Ditto PT/ OT for mobility and functional impairments and OT-related driving assessments for driving ability. After getting this information, if the caregiver still needs to say things like this, consider respite and counselling for caregiver burnout or alternate caregiving resources.